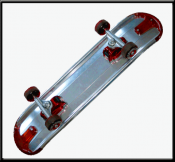 The most revolutionary innovation in skateboards ever! 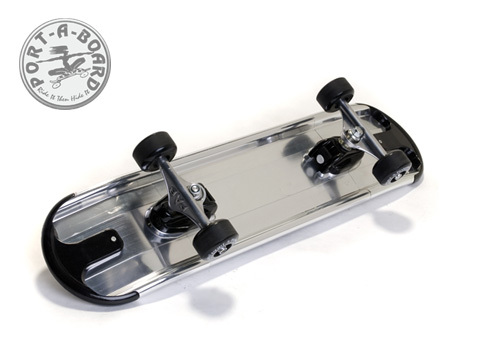 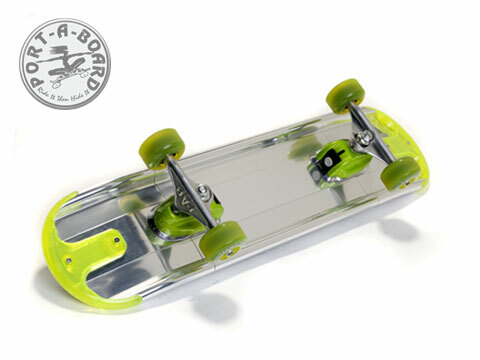 Port-A-Board decks are lightweight yet durable, constructed from tough 6061 T6 aircraft aluminum. 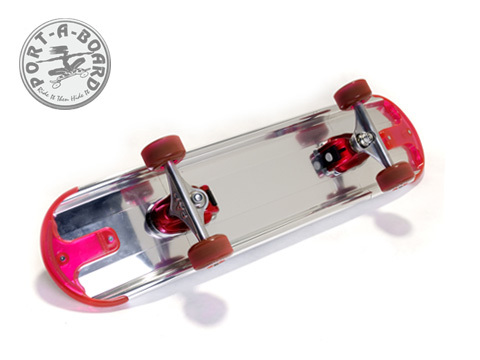 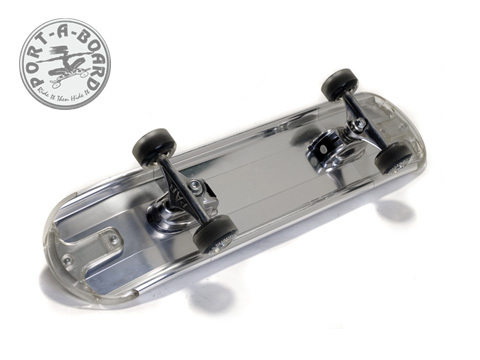 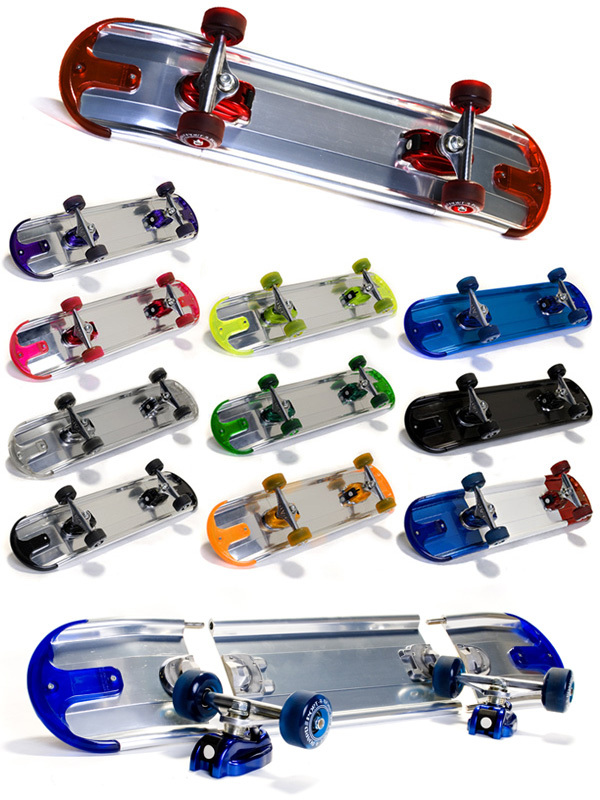 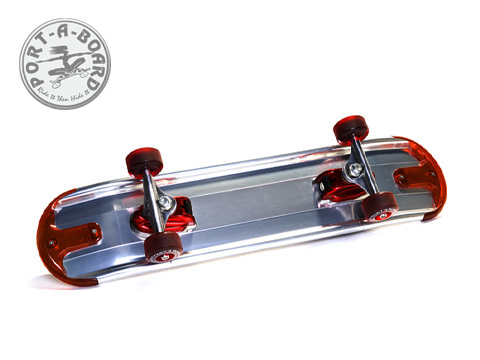 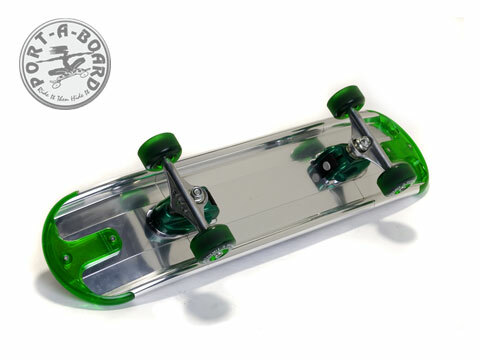 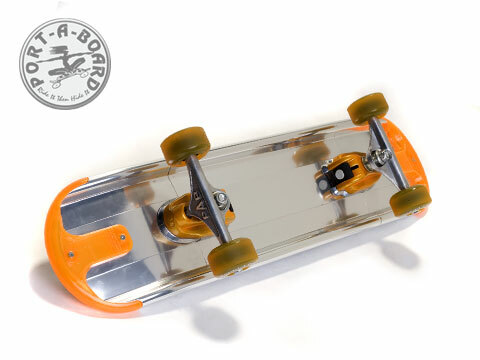 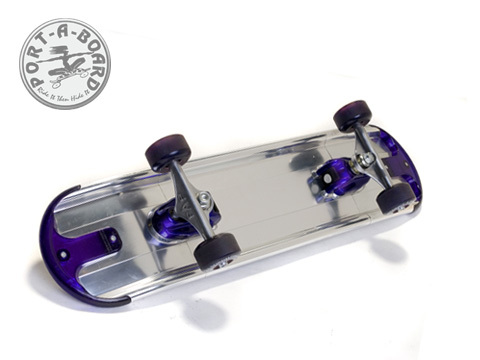 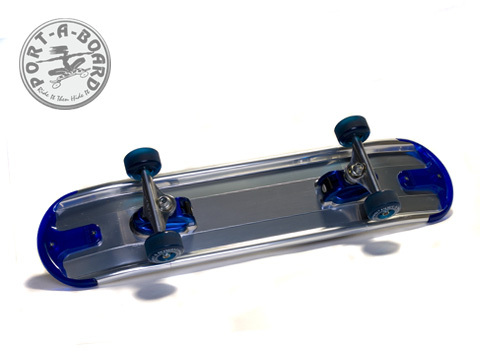 Each board has a polished, clear anodized finish, nose and tail edgeguards in nine colors, complete set of wheels and bearings, removable wheel trucks and more.